Classic Jags are some of the most iconic and eccentric cars of automotive culture. 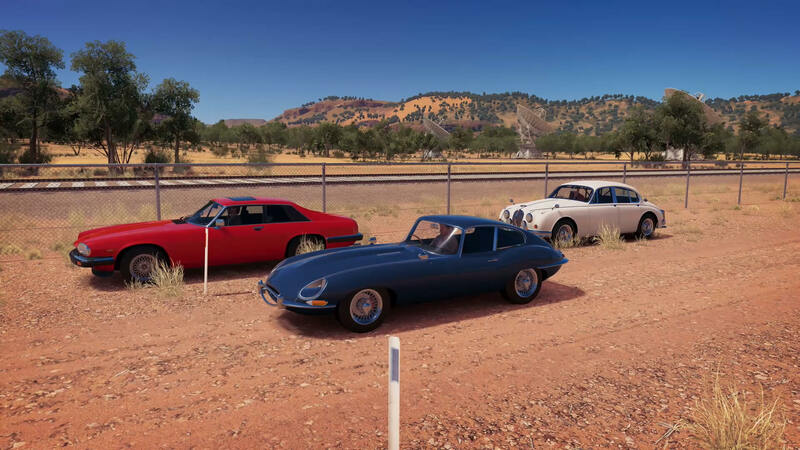 The classic British manufacturer is well-represented in Forza Horizon 3 with a series of both modern and historic cars from Jaguar, but which of its classics are the best? In a challenge inspired by Season 2 of The Grand Tour, our very own Tom Matthews and Sam Blyth team up once again with Iain from MineAndDrive. Each of them chooses what they believe to be the best classic Jaguar in Forza Horizon 3 before putting them through a series of challenges. Most of these take place in Australia, but the finale includes driving down a ski resort with a visit to Blizzard Mountain – a stunning conclusion to a brilliant video. To accompany the Classic Jags challenge video, which features the title sequence of The Grand Tour remade in Forza Horizon 3, Tom also released a tutorial-style video that highlights how he made the introduction both using the game and Adobe’s Premiere Pro editing software. You can check that out below. Be on the lookout for more Forza Horizon 3 challenges inspired by The Grand Tour in the future and feel free to let Tom know of your suggestions and ideas either in the comments of the video or over on his Twitter account. Looking ahead, Tom will be creating plenty of content on the upcoming Forza Horizon 4, so be sure to check out all our coverage for that one so far!